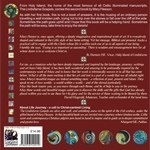 Life in Christ is a new book based on thirteen of Mary's pieces of artwork and contains prayers, comentaries, bible passages, poems and activities. Welcome to this, my second book. 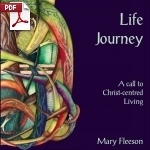 If you are familiar with the first book, ‘Life Journey - A call to Christ-centred living’, then you will find that this can be used in the same way, as an individual or in a small group. Each chapter contains original poetry, meditation and prayer and in most cases Bible references, activities and design notes, to accompany the artwork. ‘Life in Christ’ is a continuation of a Christ-centred journey, its aim is to encourage you to be in His presence constantly, not only leading a life centred in Him but also, as the advert used to say, to learn how to ‘work, rest and play’, in Him. 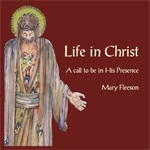 Mary Fleeson (from the introduction to Life in Christ, a Call to be in His Presence).